In the second part of our examination of crime in the British silent film the 2008 British Silent Cinema Festival will branch out into the international arena of criminal influences. From the classic figure of the British detective, epitomised by Sherlock Holmes, to the prevalence of British actors as arch villains in US films, or the use of our cities as sites of criminal activity – British film and crime fiction have been widely exported, adapted and used by European and American cinemas. We will also be screening comparative crime films from the major film producing countries as context for British productions. We particularly invite contributions on the classic, mythological and popular villains such as Sherlock Homes and Fu Manchu and the development of the detective as protagonist. Themes could include political crime, espionage, the White Slave Trade and drug trafficking, international anarchism and terrorist activity, crimes of passion, crimes of the street, domestic crime and criminal typologies. We will examine the film record for evidence of the import and export of crime through the migration of people from the late 19th Century onwards and the increasing globalisation of criminality. Proposals are sought for 20-minute presentations on areas relevant to the main theme or any new research in the field of British silent film. All presentations should be illustrated and presenters are encouraged to contact Bryony Dixon at the BFI National Archive, to arrange viewing and selection of material at bryony.dixon [at] bfi.org.uk. 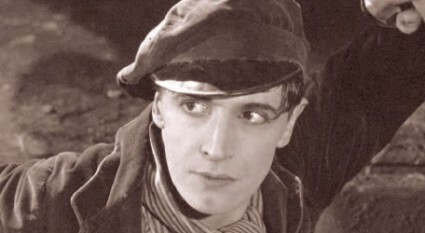 The British Silent Cinema Festival exists to promote the exhibition and study of British Cinema before 1930. It features screenings with live music, illustrated presentations, talks, debates, educational seminars and social events. Anyone is welcome to attend and to make a proposal for a contribution. The Festival is programmed and organised by Laraine Porter at Broadway, Nottingham and Bryony Dixon at the BFI National Archive.